Great demo from artist Chuck Black on painting realistic water in oils. Visit his youtube channel here for more free lessons! Here is a great free beginner portrait painting tutorial from artist Yupari. 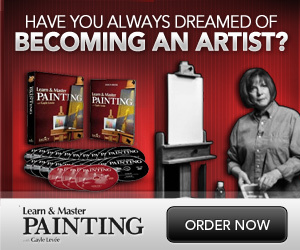 Visit his youtube channel here for more free painting demonstrations! Great video lesson from artist Florent Farges that includes a basic introduction on oil painting as well as a demonstration. Visit his YouTube channel here for more great lessons. Great video on how to mix flesh tones for portrait painting using a limited palette of colors. Great video for beginners. Here is a wonderful step by step demonstration from artist Lena Danya on painting an apple with oils. Visit Lena’s youtube channel for more free videos. Beautiful step by step knife painting demo by artist Christian Jequel. Visit his youtube channel here.